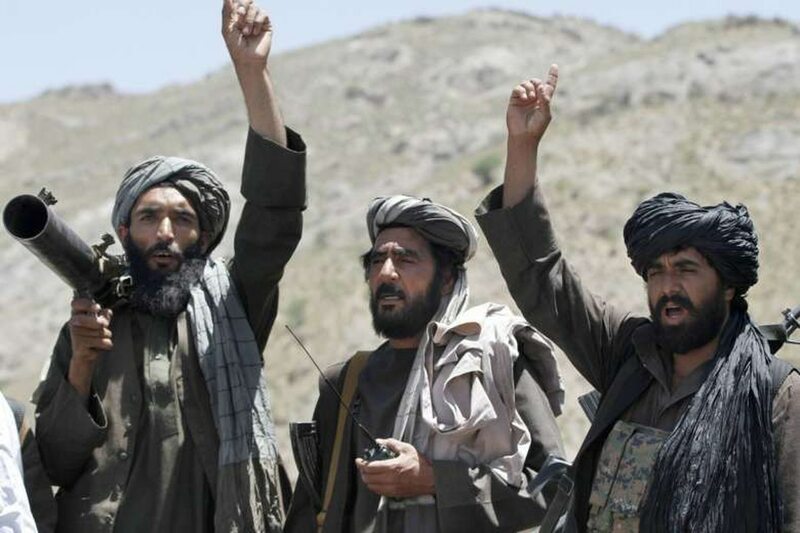 ISLAMABAD — The Taliban say they are holding “another” meeting on Monday with U.S. officials, this time in the United Arab Emirates and also involving Saudi, Pakistani and Emirati representatives in the latest attempt to bring a negotiated end to Afghanistan’s 17-year war. Taliban spokesman Zabihullah Mujahid offered no further details. While Afghan officials are not expected to attend Monday’s meeting, their presence in the UAE is a significant step in efforts to get the two sides talking. So far, the Taliban have refused to hold direct talks with the Afghan government, calling it a puppet of America and insisting only on negotiating with the U.S.
Also significant is the presence of the Saudis and Emiratis — both have significant influence over the Taliban — apparently geared toward pushing the insurgents toward concessions that could eventually lead to face-to-face talks with Kabul. Saudi Arabia, the UAE and Pakistan were the only three countries to recognize the Taliban government during its five-year rule that ended with their 2001 overthrow. Washington, meanwhile, has considerable sway over the Afghan government, which it heavily bankrolls. The U.S. has spent $1 trillion in Afghanistan since ousting the Taliban and the war there has become America's longest. While the U.S. State Department has neither denied nor confirmed previous meetings with the Taliban, Washington’s special peace envoy Zalmay Khalilzad previously said he has held several meetings with all Afghans involved in the protracted conflict — a reference that would include the Taliban, who control or hold say in nearly half of Afghanistan. A Taliban statement last month said they held three consecutive days of talks with Khalilzad in Qatar, a Mideast country where the insurgent group maintains a political office. Afterward, Khalilzad went to Kabul where he urged Afghan President Ashraf Ghani to cobble together a team that could hold talks with the Taliban with the intent of reaching an agreement on a "roadmap for the future of Afghanistan." Khalilzad said he would like to see this agreement reached before Afghan presidential elections, scheduled for next April. Since his appointment in September, Khalilzad has tried to jumpstart peace talks and has made several tours of the region. Earlier this month, he held meetings in Islamabad. Pakistani Prime Minister Imran Khan later said Khalilzad asked Pakistan to assist in getting the Taliban to the negotiating table. Khan said Pakistan would sponsor the UAE talks and insisted that a military solution is not the answer. President Donald Trump has long accused Islamabad of taking billions of U.S. dollars while doing nothing to aid peace efforts and has assailed Khan since his election as prime minister last summer. Washington has suspended hundreds of millions of dollars in military aid to Pakistan. Khan meanwhile has responded to Trump’s rebukes by saying that his country was drawn into the war on terror although no Pakistanis were involved in the Sept. 11, 2001, terrorist attacks, and that the war has cost Pakistan $123 billion. Khan has also described the U.S. contribution of $20 billion to Pakistan as minuscule.